"I had a website for my fine art, but then I wrote a few books and I was thinking about a website for my writing. Jim talked to me about branding and asked what I wanted my brand to be. I realized it was my name, DJ Geribo, and so he modified my fine art website to include my writing. I love my author/artist website and I can do all of my blogging, which we separated into art and writing categories, on one website. Since it is a Joomla website, I do all the updating, daily if I want, and since it is also an ecommerce site, I can sell my paintings and my books from one website." 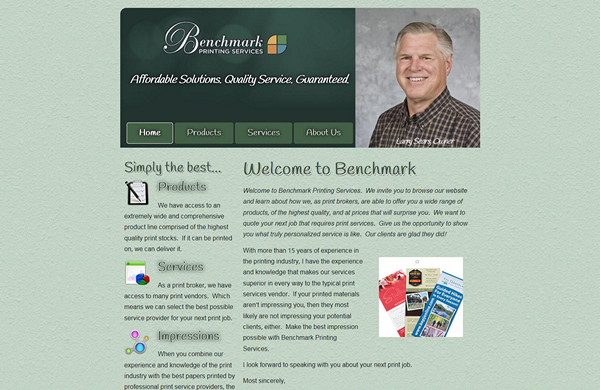 PCS Web Design was originally asked if they could help this church with their existing website. We did and about a year later, after having provided a website design to a member of their congregation, we were invited to build a new CMS-enabled website for the church. 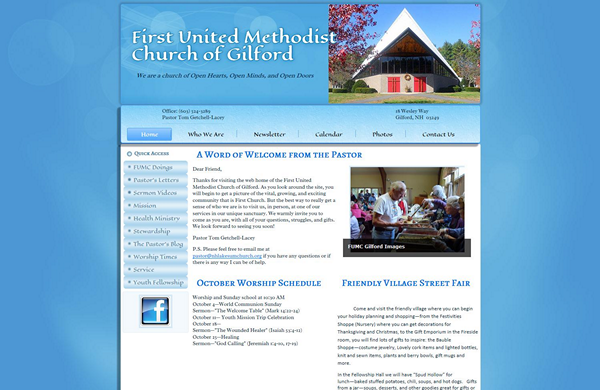 The website allows the staff to manage this very active church's content including sermon videos and the many programs extended to the community. 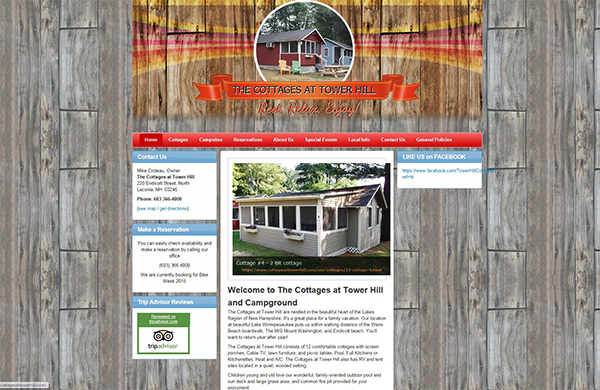 The Cottages at Tower Hill's new owner wanted a website that could showcase all of the improvements being made to this summer vacation rentals destination in Laconia, NH within walking distance to Weirs Beach. The upgrades to the rental cottages and amenities was mirrored in the upgrade to the establishment's website. Repeat guests are increasing and the Client Comments are helping to spread the word about this vacation destination. 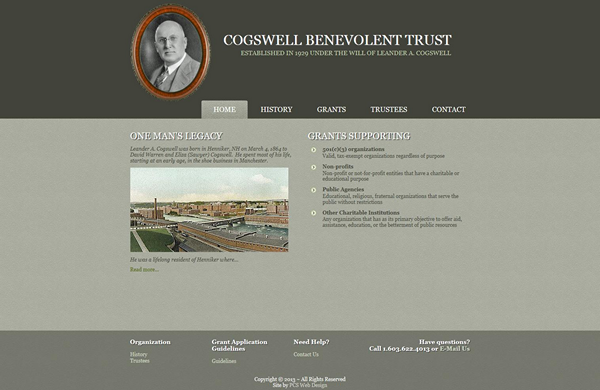 The Cogswell Benevolent Trust is the largest privately managed Trust in New Hampshire. In continuous operation since its establishment in 1929, the Trust grants funds according to the Founder's original wishes expressed in his will. PCS Web Design built a basic business website that is mobile-friendly and helps to streamline their grant application process.